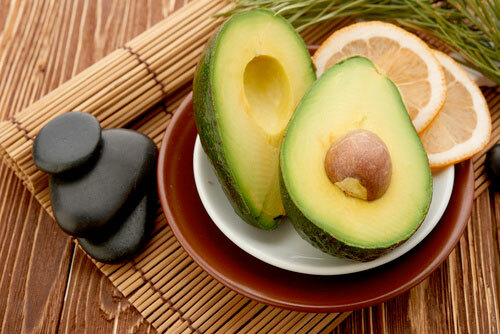 A luxurious blend of healthy oils using a high percentage (65%-70%) of our farm-grown California Hass Avocado oil. Our rich green, thick, and penetrating Extra-Virgin Avocado Oil is cold-pressed by hand using only grade-A fruit pulp (no skins or seed). 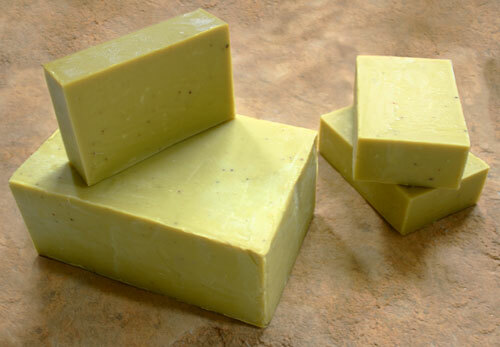 Virgin Coconut oil is added for its cleansing properties and to extend the life (hardness) of the bar, and a small percentage of extra-virgin olive oil to enhance the silky/creamy feeling on the skin's surface. Very lightly scented with coconut fragrance oil, and a pinch of finely ground dried avocado seed is added as a mild exfoliant. Individual bars are put onto drying racks for a minimum of 4 weeks to cure and stabilize. 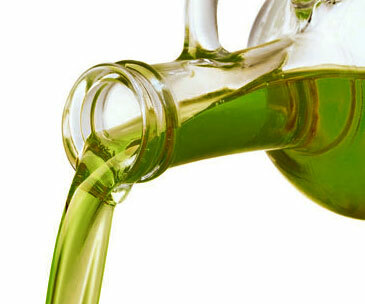 White marbleing forms on the surface as the beneficial fatty acids of the extra-virgin oils cure. 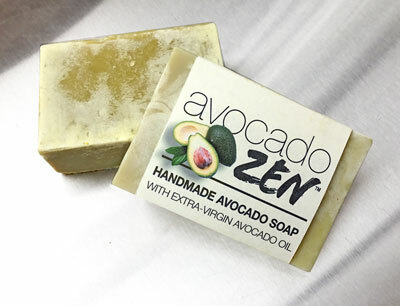 For those knowledgeable about handmade soaps, we process everything below temperatures of 115F to prevent gel phasing and loss of the avocado nutrients. Coconut essential oil (approx 1 drop per bar) is added to neutralize the avocado scent and should not be objectionable to those allergic to scented soaps.